The technique of stitch-less ear surgery for replacement of ear drum (no scar around the ear), has been developed and popularized by Dr.Shabbir Indorewala. He has been awarded with AOI-E.MERCK national award for the same. 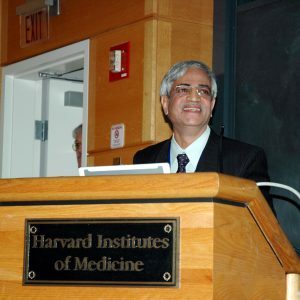 The technique has also been published in national and international journals and is well recognized all over the world.For this research work, Dr.Indorewala was invited in 2008 for a lecture at Harvard University, USA. RAF Cooper award was awarded to Dr.Indorewala for conceptualizing and developing anterior tympanotomy. The only institute in private setup with single specialty to have DNB accreditation for training postgraduates in ENT in Maharashtra state. The institute finds its privileged place in ‘LIMCA BOOK OF RECORDS 2011’ (page 232) for highest number of stitch-less ear surgeries (5741) done anywhere. Dr.Shabbir Indorewala’s name is included in Marquis Who’s Who in Medicine and Healthcare, Fifth Edition, 2004-2005. The only hospital in North Maharashtra to have all advanced audiological equipments for early detection and treatment of hearing loss in newborn babies. One of the few centres in the Maharashtra where surgeries for Bone Anchored Hearing Aids (BAHA) are performed. The only institute in the country that has been conducting “Ear and Sinus Surgery Workshop” with hands on dissection (in collaboration with V.P.Medical College) as an educational activity for fellow ENT surgeons. This annual activity is going on uninterrupted for last eleven years! One of the few centres in the country to have fully functioning cochlear implant centre for hearing impaired patients.